I offer awesome, hand painted, watercolour pet portraits of your cuties, with additional matte board and framing options. 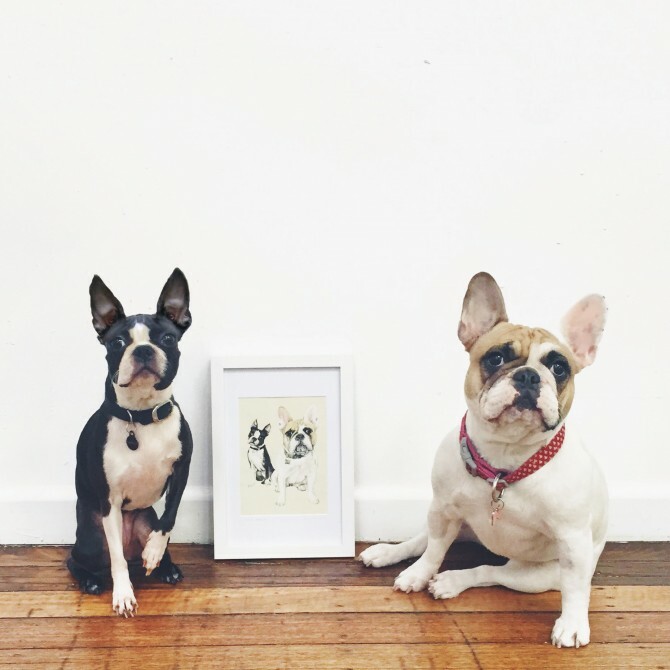 Bespoke, A5, watercolour PET PORTRAITS start at only $150AU. Classic black or white wooden, A4 frames, complete with white, matte board, only an extra $30AU. They make an awesome gift for the super pet lover in your life, or they’re just a gorgeous keepsake of your best little animal dudes. All I need is a nice, clear photograph and I can get started immediately! Check out some of my previous work below. If you dig, shoot me an email to commission your own original, watercolour pet portrait.